Hopkins Research Group/CaltechA close-up view of a simulated Milky Way galaxy, generated from the birth of the universe all the way to the present. A powerful new computer simulation has provided the clearest-ever picture of how our galactic home, the Milky Way, came to exist. The Milky Way is a truly monstrous collection of more than 100 billion stars that stretches more than 100,000 light-years wide. However, we have company in the form of small neighbours called dwarf galaxies, which orbit our much-larger spiral galaxy. 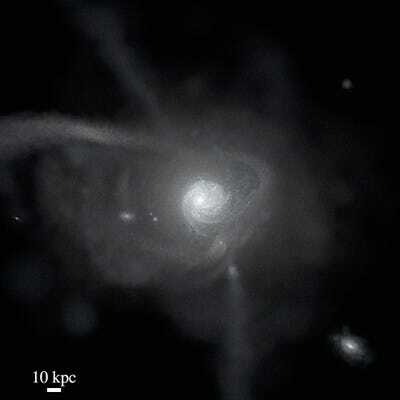 Some are choking with dark matter — a so-far unexplained gravitational anomaly that pervades galaxies. Others have been ripped apart into a diffuse “graveyard” of stars for lurking too close to our spiral galaxy. Though tiny in relation to the Milky Way (some are comprised of just a few thousand stars), these dwarf galaxies have vexed astronomers to no end: Not even the most advanced computer simulations could explain how they got there. But in a new study published in Astrophysical Journal Letters on August 12, a group of researchers at Caltech say they have finally reconciled the existence of our tiny galactic neighbours. 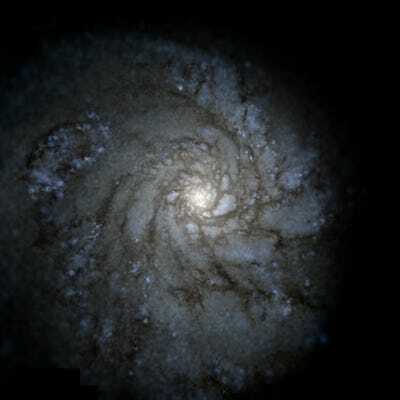 “[O]ur model simulates a galaxy as similar to the Milky Way as we can, starting from cosmological initial conditions just after the Big Bang,” study leader Andrew Wetzel told Business Insider in an email. Wetzel says the simulation below is not an exact match, in terms of our galaxy’s spiral arms — it’s a sort of simulated pseudo-Milky Way — but is possibly the “closest yet” for matching the Milky Way. Hopkins Research Group/CaltechA view of Caltech’s simulated Milky Way galaxy from 300,000 light-years away. The trick to making this highly accurate simulation, Wetzel explained in a Caltech press release, was more detailed modelling of exploding stars called supernovas. Each cataclysmic explosion spews out powerful winds, which he said can have “dramatic effects” on star-forming gas and dust where dwarf galaxies eventually form. Once those blasts were properly accounted for, their simulated Big Bang — the birth of the universe — smoothly led to the formation of a Milky Way and its colourful neighbourhood of dwarf galaxies. According to the release, the research team plans to spend another “20 million CPU hours” to predict where faint, as-yet-undiscovered dwarf galaxies may be lurking. 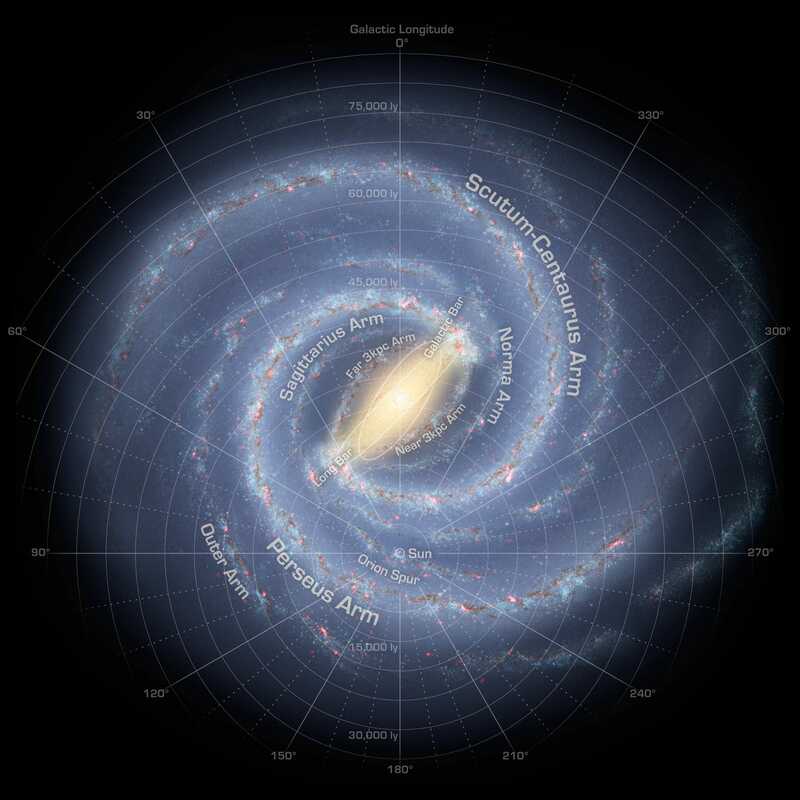 Wetzel says if you’re looking for the most accurate map of the Milky Way, researchers have previously used Spitzer Space Telescope data to make one. NASA/JPL-CaltechThe most accurate Milky Way galaxy illustration, showing all of the known spiral arms and star clusters.